I used to eat a whole lot of salmon when I lived in Oregon and then in San Diego. But now that we're in Atlanta, we rarely eat it. Major sad face :( Atlantic salmon just doesn't taste as good as that from the Pacific Ocean, and it's nearly always frozen by the time it hits our grocery stores. So, when I bumped into this recipe - using canned salmon - my salmon cravings kicked back into high gear. Drain the salmon, reserving 1/4 cup of the liquid. 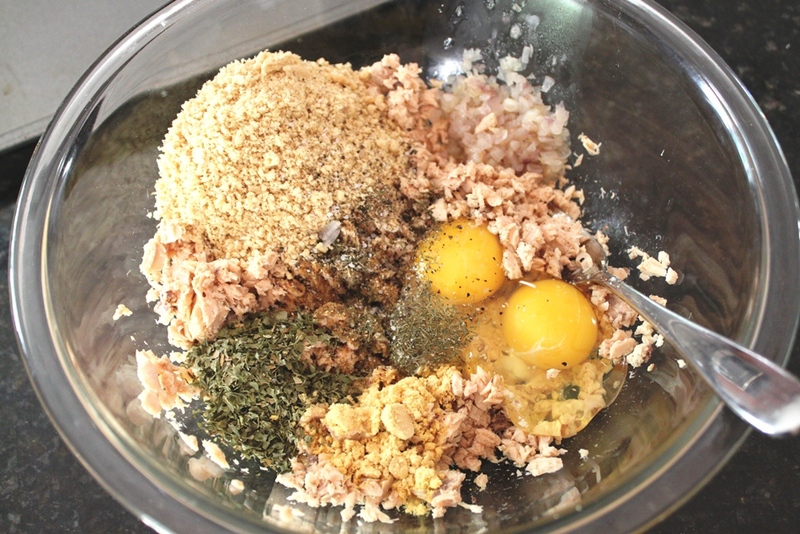 Flake the salmon in a large bowl and add the reserved salmon liquid, cracker crumbs, eggs, parsley, mustard, dill, and celery salt. 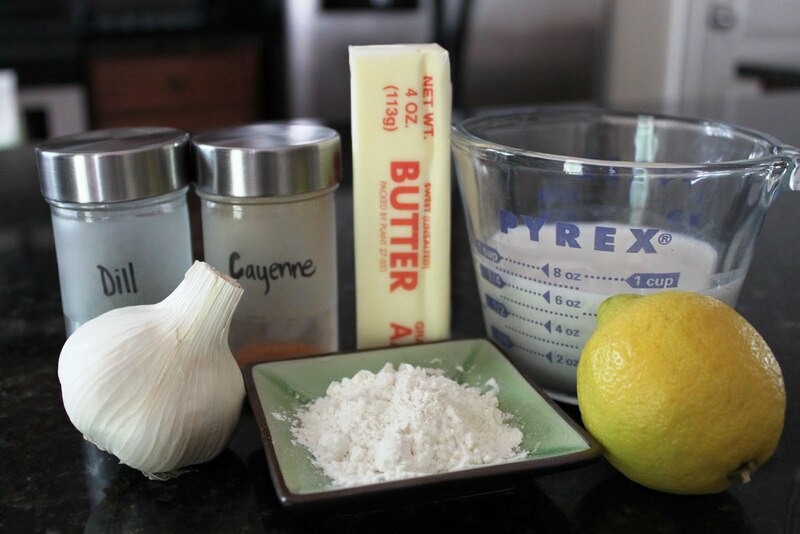 Melt the butter in a small skillet over medium-high heat. Add shallot, and cook until tender. Pour the shallot and butter into the mixing bowl with the salmon and stir until combined. 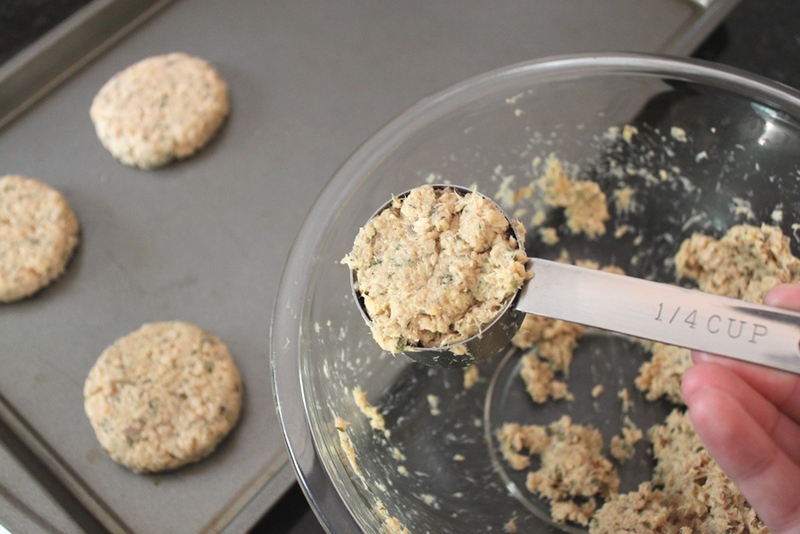 Shape into six patties, using a 1/4 cup measure. Placed on a lightly greased baking sheet, cover, and refrigerate for an hour. Pan fry in a large skillet over medium heat, or bake in a 375 degree oven for 8 minutes each side. Makes 6-8 patties. Melt butter in a small saucepan over medium heat. Whisk in the flour to form a smooth paste. 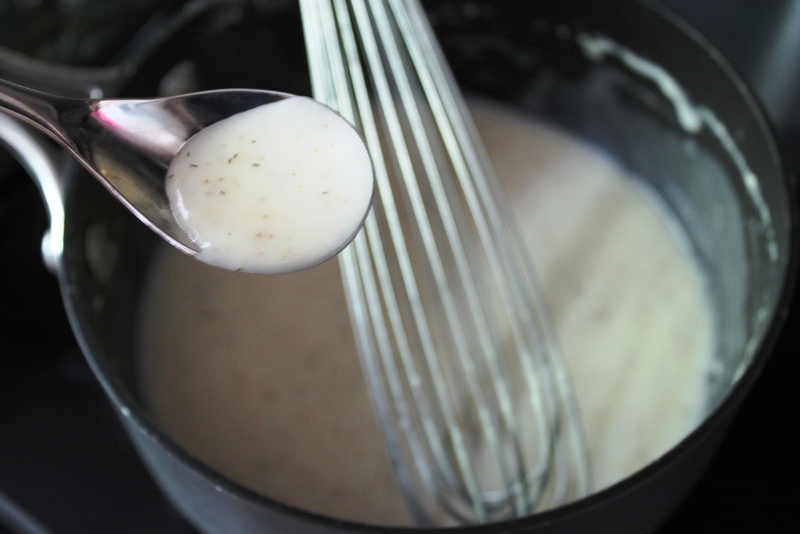 Gradually whisk in milk and bring to a boil over medium heat, whisking constantly. Cook for 2 minutes or until thickened. Remove from heat, and stir in lemon juice, salt, cayenne pepper, and dill. 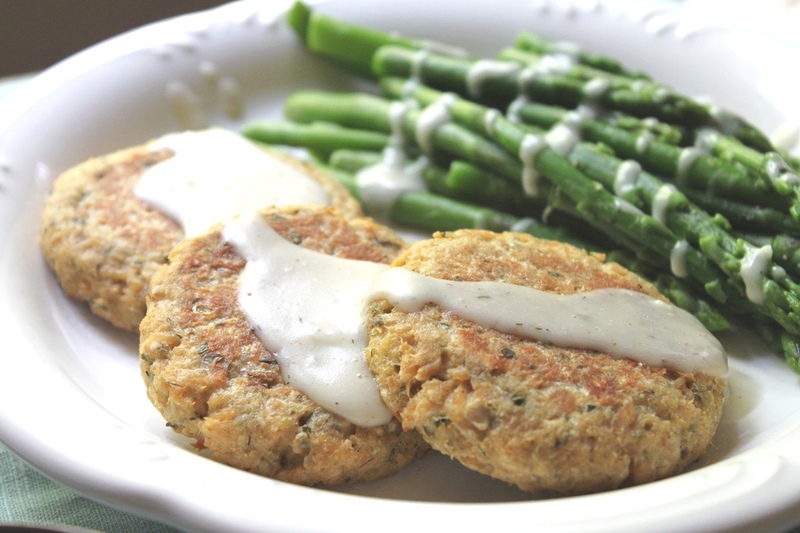 Makes about 1 cup, enough for the salmon patties plus extra to top a veggie side. 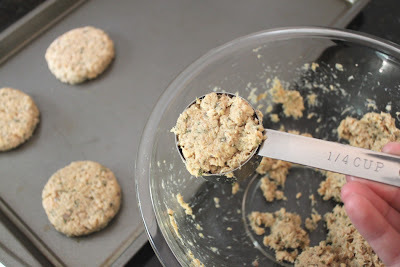 Measure out by 1/4 cups and shape into patties and place on a greased baking sheet. I baked these in the oven (as opposed to pan frying) and they turned out perfectly golden! I sure would like to have one of these toasty patties for lunch! 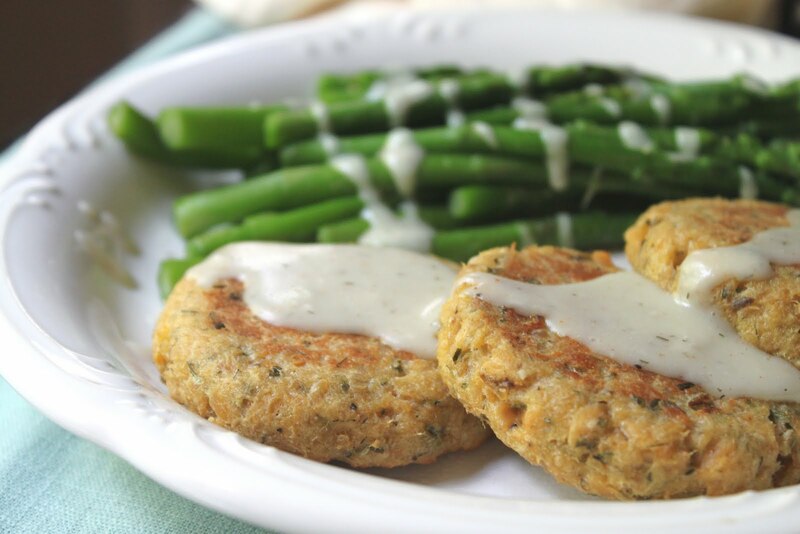 I have not had any seafood cakes/patties in such a long time, you have inspired me. Bookmarked this recipe. Amazing pictures-yum! @Tina, I hope you like them! I should have also noted that this recipe can definitely be made with fresh or leftover salmon - not just canned. But again, we don't access to the greatest salmon here, so I opted for canned. 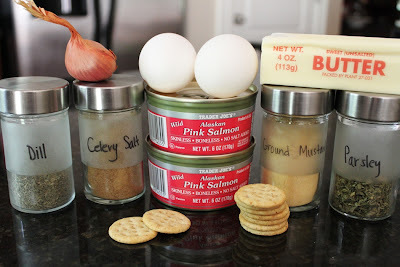 My family loves salmon cakes and I am pretty sure I have all the ingredients on hand to try this sauce. Looks like they'll be on our weekend menu if Irene doesn't knock out our power. Thanks for sharing.